Small businesses have been hurt during the Great Recession and are now being shut out of getting a bank loan. They have lost customers and now have reduced sales. They have had to lay off employees because there isn't enough for them to do or enough to pay them. They have lost valuable supply lines. Most of all, they have lost their creditworthiness or so it seems and can't get business credit or business loans. Banks aren't willing to do business with small businesses anymore, or at least not to the extent they used to be. Before the recession, just about every thriving small business had an ongoing relationship with a bank that provided them with at least a line of credit. The recession saw these lines of credit dry up. The small businesses can't revive their lines of credit or even get a business loan with a bank because they have lost their customer base and their sales can't support their loan requests. In addition, their banks have strengthened their lending guidelines. Here's the way it works. When a company gets a merchant cash advance, the deal is the purchase and sale of future credit card income. No regular fixed payments are required by the company. The lender collects a set percentage of the company's daily credit card sales. Merchant cash advances don't have a fixed interest rate, but they can be quite expensive. However, they can keep the small business in business. Purchase order financing is similar to the old practice of factoring, except they take it one step further. They guarantee the order of a buyer of the company's products. They pay for the product to be manufactured, then take their cut and let the company have the rest of the proceeds. Peer-to-peer lending transactions work much like an eBay transaction. You post the amount you need on a peer-to-peer lending site and the maximum amount of interest rate you will pay. Then, potential lenders bid on your loan. You do have to have a good personal credit score. A hard money loan is not based on the creditworthiness of the business applying for the loan. Instead, it is a risky, asset-based loan based on the collateral of the borrower. If your small business adds imports to its product lines, it could make a nice profit margin. Many small businesses are looking at adding imports. How do you get financing for the risky business that is international trade? Here are three methods you can use to finance your importing business. Sell your accounts receivables to raise money for working capital needs. While the interest rates are almost always higher than for bank loans, at least you can get this loan. Check out The Receivables Exchange, an electronic marketplace for trading accounts receivables at auction. Using inventory as collateral, business firms can raise money for their working capital needs. Inventory financing, along with accounts receivable financing, are two important sources of money that businesses involved in importing products use extensively. Both can be used for other reasons by the business firm. 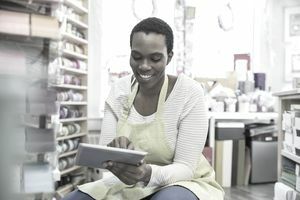 Although using a credit card for small business financing is certainly not the optimal method of raising money due to restrictive terms and high-interest rates, at least it is an option for small businesses. Be sure all your payments are on time and try to negotiate the lowest possible interest rate with your credit card company. The good news is that it is obvious that small businesses do have options to obtain money so they can continue to operate. They do not have to depend solely on traditional bank loans. Alternative means of debt financing for their operations have surfaced to the mainstream. Providing competition for traditional banks might help improve the credit markets where small businesses have usually obtained their financing.